1. Music keeps your ears young. 2. It boosts your test scores. 3. It alters your brain. Northwestern University scientists have pulled together a review of research into what music — specifically, learning to play music — does to humans. The result shows music training does far more than entertain us by playing the piano, for example. On top of that, it actually changes our brains. 4. It helps with language skills. Researchers also found that musicians are better than non-musicians in learning to incorporate sound patterns for a new language into words. Their brains also appear to be primed to comprehend speech in a noisy background. Moreover, children with learning disabilities, who often have a hard time focusing when there’s a lot of background noise, may be especially helped by music lessons. Music training (like piano lessons Atlanta) strengthens the same neural processes that often are deficient in those with developmental dyslexia or those who have difficulty hearing speech in noise. 6. It breeds future success. 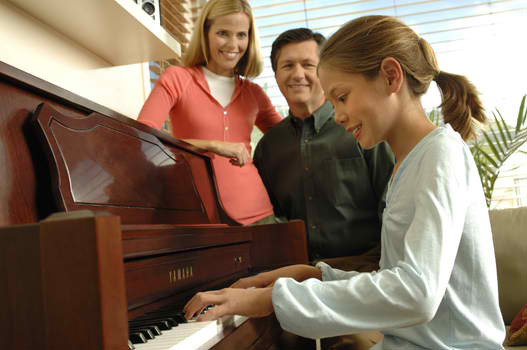 Besides the joy piano playing brings, there is a strong link between playing the piano and the development of skills needed to be successful in life. Some of the benefits of playing the piano include developing strong discipline skills, patience, coordination, and dedication as well as an increased ability to memorize. According to a Michigan State University research project, piano-playing Americans reported that piano lessons significantly reduced their incidence of depression and anxiety. 7. It’s good for your well-being. A piano player will also note a marked decrease in loneliness. 8. It’s a stress reliever. 9. It makes you feel good. I love this positive list!!! As a piano student who started her lessons at age 56, purchased her Cooper Knabe baby grand at 59, and made her first cd of classical lullabies for her new grandbaby at 60, I can’t begin to tell you how much pleasure I get from my piano!!! I play the keyboards for 20 years and I still play. Do Digital Pianos work or any type of piano? I play the Digital Piano/Keyboards. Any keyboard playing will provide benefits! I feel great! – I play by ear and make up tunes. IT’S AWESOME, i recommend piano playing. I’ve been playing the piano since I was a little kid, now at age 33 I still have a deep love for the Piano and since have graduated to an even tougher instrument…the Pipe Organ. Making music is amazing and relaxing and theraputic. Just play as a hobby when you feel like it. I’m glad you have found the joy playing the piano gives! I also play by ear. Amazing. The joy it brings is profound. I tear sometimes when I’m away from my keyboard & feel the need to feed my soul. It is a great way to relax! I thought it was really interesting how studies have shown that playing a musical instrument is correlated with academic achievement and test scores. My daughter has expressed a mild curiosity in playing the piano. Knowing that it will also condition her brain to perform better academically makes me feel even more willing to enroll her in lessons right away. She’ll need a piano to practice on, so would you suggest I look into getting a used piano in order to save a little bit of money? Yes, you could also rent a piano. I started when I was 5. Then stopped at university. Now I’m in my 30s, I started taking lessons again a few months ago and have been practising 5 days a week. I even performed at the recital after the first month of lessons. I plan on keeping the practice until I can no longer play physically. It is until this time around that I began to learn about the benefits of playing piano and to discover what type of music I actually enjoy playing. The cost for lessons can be a concern to some, but take advantage of discount options or take lessons every other week instead. Playing the piano = brain exercise + remarkable enjoyment! In my personal life I experience less anxiety and depression than when i was younger all thanks to playing the piano. I started having piano lessons when I was 24. learning the piano has been the single most BEST thing I’ve ever done. 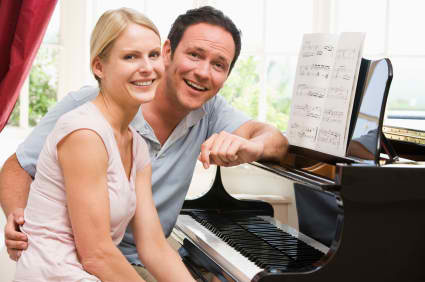 Once you become familiar with the piano, you will find your multitasking skills in the outside world a lot easier. Ive also noticed that I’ve gained arm muscles! The people at https://bit.ly/2Yl9lGb made learning EASY and fun. Within two days of use I already felt like I’ve got my money’s worth out of the course. Order your copy and see for yourself!